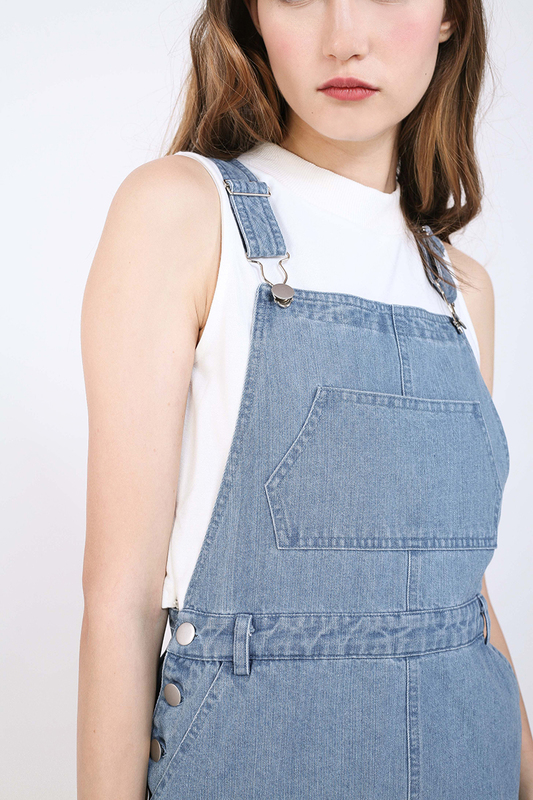 Nail that comfy, casual weekend look with the Edris Pinafore – an adorable denim pinafore with a cinched waist and a frayed hem. Made from lightweight denim, this sweet number features belt loops, a racerback detail, and roomy side pockets for convenience. Style it with an off-shoulder top and sneakers. Max. Length (excl. straps) 26.5" 26.75" 27" 27.25"
Bust: 32" / Waist: 25" / Hips: 35"